Country Life magazine, trade publication Showhouse, Absolutely Chiswick & West, the Metro and an exclusive in City AM, saw Merchant Terrace receive an extensive variety of media coverage, with the latter commenting that the development was ‘an ideal location for families, particularly migrating away from Chiswick and Kensington & Chelsea in search of better value’. Read on below for the full article, or alternatively follow this link. Building new homes takes years; that is why it is more important for a developer to know where the market is going than where it is at. With rumours of oversupply at the top end of the market in some areas and a bubble blooming on the horizon, it is perhaps wise to think small. And that is something London developer Fruition Properties has particular expertise in. Fruition Properties has been building boutique residential apartments since 2004 and it has seen the business double in size in the last two years. 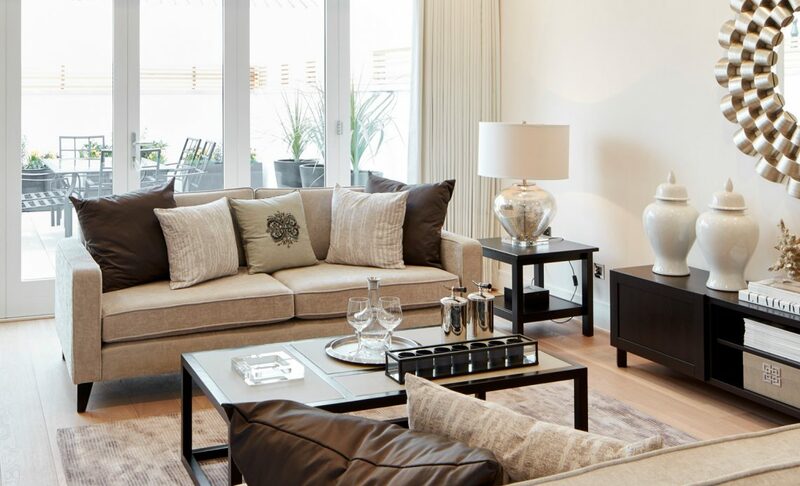 It is this confidence in the appeal of a more “bespoke” product that has allowed Khiroya to open his latest development next door to a huge Linden Homes scheme, King’s Row, in between Hammersmith and Chiswick. Merchant Terrace, as it has been christened, sits on the site of an old warehouse and a 60s office block five minutes away from the 10-hectare Ravenscourt Park, a tube station bearing the same name, a primary school, a prep school, and the new West London Free School, making it an ideal location for families, particularly migrating away from Chiswick and Kensington & Chelsea in search of better value. “We’ve noticed a lot of people moving away from those areas and those people are used to living in traditional townhouses,” Khiroya says. So that’s what Fruition has created: eight four-bedroom, three-storey, white-stucco-fronted townhouses, with three outside terraces apiece – the one on the roof accessed via a nifty electronic skylight – and underground car parking spaces. They are pretty much identical in size – ranging from 2,308 to 2,421sqft – and prices are expected to start at £2.495m. The white façade continues on to the developer’s first office block next door, a 6,000sqft building that has already piqued the interest of a tenant in the charity sector.